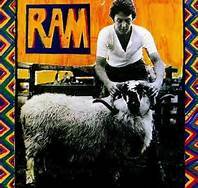 After the last few albums, and with the ones coming up, I thought it was time for a much needed Ram break with Paul McCartney. Even though I went to the movies and got home a little later than usual, I felt like getting that exercise in. I really needed to work things out. And tonight while working out, I was just lost in random thoughts and have nothing really to write about, except – The ex and I went to see The Dallas Buyers Club. First let me say, it was a good movie, a good story and might fine performances. For those of you who don’t already know or have yet to figure it out, my brother passed away quite some time ago and he died of AIDS. We were raised differently by the same parents, which put a wedge between us until my mother’s cancer diagnosis, when he came out as my champion, and then eventually came out to me as well. We re-bonded in a very natural way, for us, and were slowly rekindling the relationship when his own diagnosis forced us to speed up the process. He died a year and a month after my mother had. I’ve watched the movie Philadelphia many times. As soon as I hear the first few beats of Bruce Springsteen’s title song I break into tears. Why would I do that to myself? People have actually asked me this. It’s an excellent movie with a very important message, done in a sentimental yet powerful way. And so there was no hesitation on my part when the ex suggested The Dallas Buyers Club as the next movie. I knew it would be tough, but the story, the acting and the message made it worth it. Admittedly, after the movie, while the credits were rolling I felt the need to bury my head in my hands, but was distracted by the rustling sound next to me, and I watched as the ex burrowed through all his jacket pockets looking for the napkins he got with his popcorn. God forbid I should bring a tissue. But I still needed to let loose and not worry about the next album and writing about it. This is what I wanted write about. And Ram was what I wanted to exercise to.